Using a thermal protection spray, such as Davines Melu Hair Shield, will help reduce damage caused by heat and help hold curl in place. If you’re starting with naturally curly or frizzy hair, use a smoothing serum to tame frizz and loosen up your natural curl first followed by a thermal protection spray. Hot tools can get very hot. To avoid potentially burning your hair be mindful of the temperature your iron is set at. If your hair is fine, thin or fragile use a low temperature setting. If your hair is course, frizzy or strong it can withstand a higher temperature and will require more heat to smooth out frizz. If your hot tool does not have a temperature control you’ll have to work fast to avoid damage. Practice without heat until you feel confident with your technique and speed. Section your hair into 3 sections beginning with a horseshoe on top that includes the bangs, part & cowlick splits. Another section from top of the ear around the back of head and the third section from top of ear to nape of neck. Start with bottom section and either curl in the same direction for a wavy, glam style or switch direction back and forth to achieve a more tousled look. 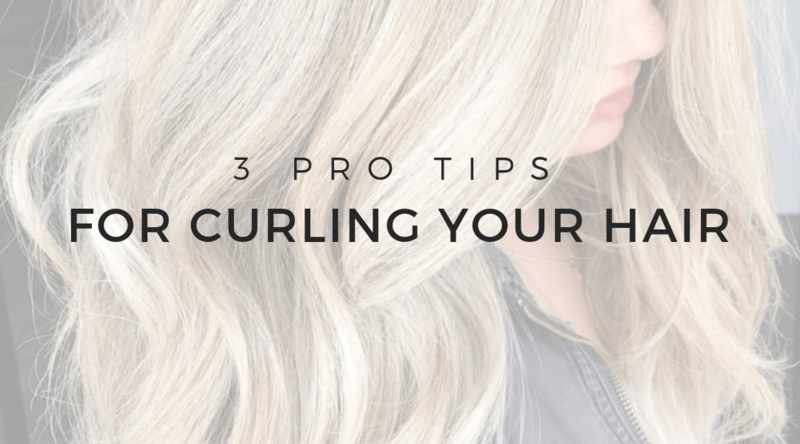 By knowing how to curl your hair you’ll be able to create different styles for different occasions. And knowing how to properly take care of your hair to reduce damage is equally important.